"Almost anything can be animated to give the appearance of life and possibly intelligence. But just because it moves, does that make it a character? " haracter modeling can be a fun and exciting challenge, pushing you to expand your skills ever further in the quest to create the next perfect character. The flip side is that at times, it can also be frustrating, confusing and down right unpleasant. Especially if you are trying it for the first time. not only look better, but also animate better. So now that you can model reasonably well, (well at least you think so), it is time to start thinking about what makes a great character. Almost anything can be animated to give the appearance of life and possibly intelligence. But just because it moves, does that make it a character? the further you move away from the familiar “norm”, the harder it becomes to quantify whether you have created a character or an animated object. After you have spent countless hours pondering the definition of characters, you still need to create that perfect character. And unless you were suddenly struck by divine inspiration, it could take a while to decide on the seemingly endless details. So, while you are sorting through some of those details, why don't you sit down and soak up a little inspiration from the wonderful characters that have been gathered for this issue. That's right, in this issue we are going to take a look at “Character Building”. And just to add a little fun, we not only have articles and tutorials, but some great character models for you to play with as well as a bonus surprise. Bonus surprise? Yes, that's right, but you have to read the magazine to find it. So have fun and enjoy! haracter modeling can be some of the most rewarding modeling you can undertake. But it can also be frustrating and rather challenging to say the least. It can be especially painful if all you want to do is practice a little rigging and animation. Luckily, Blender users have quite a few free characters and even rigs that have been created by fellow Blender users for you to practice / play with and study. In addition to the many characters that can be found online, here is a new batch of characters that have been submitted for you to study and enjoy. All of the blend files for these characters can be found in the blend zip download file for this issue (#35), in the Character Blends folder. called "Jerks of the sea". It should become an Open Source Pirate Short movie. The plot of this movie is that these pirates are very big jerks except for the Captain. My job in this team is most of the character modeling. I talked to the director Oliver Freudrich (oliver.freudrich@gmx.net) and he allowed me to send you a model from the movie. If you have any questions about the rig, the model, the textures, what ever! feel free to write a comment or send me an E-Mail to cp1982@web.de or here http://blenderartists.org/forum/showth read.php?224337-quot-Ely-quot-orquot-the-bogey-quot So have fun with Ely. Created by Christoph Pöhler aka Dracio Ely is the star of a little animation for Christoph's niece. The song is called the bogey. Sintel Lite Head based on Jeff Bridges digital topology, Some designs and concepts are from the Tron film. There are still several issues around in regard of shape keys, cage mesh, and a ton of settings without checks. The rig comes from Rigify (first iteration). Polygon hair and central wear may be driven by lattices. Some settings are not recommended to copy because they are obviously wrong (like the light sword parented with fk controls) Fixes and tweaks may follow as a sequel of this file. This is a simple character. I plan to use it for a simple game but it is still a work in progress. created by Ben Simonds This is a rig I created as a test for the Two Rivers Partnership, a small animation and VFX studio in London whom I work for. Theyâ&#x20AC;&#x2122;ve kindly allowed me to release the rig to the blender community. How to change window type with that big button on the left of every window header. There are two approaches for rigging an arm; Forward Kinematics and Inverse Kinematics. Each of these two set ups are preferable under different circumstances. Forward Kinematics is good for swinging the arms in large circular movements whereas Inverse Kinematics is the best for efficiently positioning the hands. The purpose of this tutorial is to show you how to make a custom switch which allows you to use both movements. This is not a beginner tutorial. While I will cover a little about what IK and FK are, I am expecting that most readers will already know about them, and they are here because they want to know how to set up an animatorâ&#x20AC;&#x2122;s switch to make characters able to do both. Therefore I will only briefly cover the differences of IK and FK. How to make new armature bones, including how to use the Mirror mode to rig both left and right sides at the same time, and how to weight paint an armature to a mesh. Pivot point snapping (e.g. [SHIFT][S] >> Snap to cursor etc) How to navigate different layers, including bone layers. How the Center pivot point works (the larger orange dot within each mesh object) How keyed animation works along a timeline. That IK does not work well with very straight arms. I am assuming the reader knows that the default pose for a rig is a "T-pose" and in preparation for IK, this pose includes slightly bent elbows, as shown in Figure 1. By default, rigs will have Forward Kinematic movement (or FK for short). This type of set-up means that the bones are joined one after another in parent-to-child hierarchy, so if you bend the elbow, the whole forearm moves from the elbow joint downwards, right down to the finger tips. It's as if the arm is a stiff piece of wire. Arm movement affects bones in a "forwards" direction from the shoulder down, as seen here in Figure 2.
hand moves, the arm bends to compensate, as shown in Figure 3. Generally speaking, IK is the most useful arm setup because it makes positioning the hand very easy. There are times however where FK movement is preferred, such as when the character needs to swing their arms in large circles, and making a switch to change from one movement type to the other is what this tutorial is all about. because these bones are on the left side of the body, and you should also have opposite bones on the right with similar names ending in R (e.g shoulder_R). For most of this tutorial I will be referring to the left side bones and trust that you will know to apply similar steps for the right. Other bones which I don’t mention (such as the fingers) are up to you. Weight painting should be done before setting up the IK/FK switch, so do this before proceeding with the rest of the tutorial. Try to get rid of any odd bulges which may appear when you bend the arm. For the sake of keeping this tutorial brief I will not be covering anything like realistic wrist-twist, although such setups can be added to what you are going to do here. Normally, you have to decide whether to set an arm rig to work either as Forward Kinematics (FK) or Inverse Kinematics (IK) but not both, because you cannot simultaneously have the arm lead by the shoulder end (FK) and also have the hand lead the arm (IK). One solution for this paradox is to have an IK/FK switch, as seen in Figure 4, which toggles whether the arm should be following IK or FK movement at any time. By default, arm bones have FK movement once you enter Pose mode. A normal set of arms weight painted to the mesh (the current arms). An extra set of arms set up for FK movement, but without direct influence over the mesh. These arms will be the FK controller. Another extra set of arms set up for IK movement, but without direct influence over the mesh. These arms will be used as IK controllers. Now we want to go to bone layer 2. This is different from ordinary 3D scene layers. You can find the correct location by going through the Object Data tab (when armature bones are selected this tab will resemble a stick figure). You should see the bone layers in the “Skeleton” area immediately below as seen in Figure 6. With the above understood, and with having the “real” weight-painted arm complete it’s time to make the IK and FK controllers. at a time). Each time, uncheck the “Deform” option further down in the options of the Bone tab, as shown in Figure 7. The next step is to make the "normal" bones (the weight painted ones of the first bone layer) snap to these FK controller bones so that they match any poses the FK controller bones do. You will use Bone Constraints to do this, because these can later be enabled / disabled on demand as required. To set up a Copy Rotation constraint linking the bicep_L and the bicepFK_L bones together: Go back to the first bone layer. In Pose mode, RMB-select the bicep_L bone. In the Bone Constraints tab, hit the “Add constraint” button and choose to add a “Copy Rotation” constraint. In the “Target” area, choose Armature (or whatever the full character rig is called). At the moment, the “Space” field transfers from “World Space” position to “World Space”. This is probably fine, although if you are fussy you might like to change the relationship to reflect “Pose Space” to “Pose Space”. Note also that the X, Y and Z axis are all active in the constraint, meaning the rotation covers all directions. At this point, the Copy Rotation constraint properties should resemble Figure 8. When you are done, you should find that posing the FK controller bones (in Pose mode) transfers the movement to the full “real” arm. You’re now ready to make the IK controller setup. So far, so good. The FK controller arm is working as it should be. Now we will make the IK controller arm. First, be sure to turn off the influence of the FK controllers. Otherwise the FK controller you have made won’t release their hold of the “normal” arm and this will interfere with any testing you will want to do as you make the IK controller bones. To do this, select the bicep_L, forearm_L and hand_L bones, one at a time, and slide the “Influence” slider at the bottom of each Copy Rotation constraint all the way down (to the left), setting their values to zero. don’t want to copy across onto the new IK controller arms. Instead, it is efficient to simply duplicate a new set of IK arms from the FK controller arms. In the Object Data tab, enable bone layer 2 (where the FK controller bones reside) but not bone layer 1, so that you can only see the FK controller bones. Make sure you are in Edit mode. Now you can select all the bones (bicepIK, forearmIK and handIK) by hitting the [A] key. With these bones selected, hit [SHIFT][D] to duplicate them, then hit [M] followed by the number  to send these duplicates to bone layer 3. Switch to bone layer 3 so you are looking at only these new bones. Before you go about making lots of changes, rename the bones suitably. For example, instead of being called bicepFK_L.000, you should rename this bone to become bicepIK_L. Suitable names would be bicepIK_L, forearmIK_L and handIK_L. Check that these new IK controller bones do not have “Deform” enabled, switching it off if they do. Break (unparent) the hand from the arm at the wrist. You need to do this because if the hand is attached, then it inherits FK movement from the forearm. This will prevent it from being able to move about independently in the way that is needed for IK movement. To do this you need to be in Edit mode. Select the handIK_L bone, and under the Bone tab in the Relations area, you will see that it is parented to the forearmIK_L bone. Delete this entry altogether. Enter Pose mode and RMB-Select the forearmIK_L bone. Through the Bone Constraints tab, add an Inverse Kinematics constraint. Change the of Chain Length property of this constraint to 2 (this makes the constraint work to affect up to two bones; the forearm and bicep) Change the Target field to Armature (or whatever else the rig is called) and enter handFK_L in the Bone: field which follows. When in Pose mode, this causes the wrist end of the IK controller arm bones to attach themselves to the hand as though magnetised. The hand will now have a basic IK movement so that when you move the hand around (in Pose mode) the arm follows the movement. Notice that if you move the hand inwards towards the shoulder, the elbow bends to allow the movement. Try not to move the arm so far away that you pull it away from the wrist. The hand will detach because it has been unparented, but pulling it away from the arm would simply make any animations look unrealistic. The IK action from the hand works fine so far, but a proper IK setup should also include an elbow controller so that as the elbow bends, the animator is able to specify the direction that the bend in the elbow is pointing. For example, as the hand moves in towards the shoulder, should the elbow bend point upwards into the air or should the elbow point down to the floor? Select the ball at the elbow tip. Extrude this outwards (most likely this will be along the direction of the Y axis), quite some distance from the arm. From here, extrude another small bone upwards (direction “Z”), and name this new bone "elbowpoleIK_L" Delete the bone which leads out to the new elbowpoleIK_L bone, as shown in Figure 11. Your IK constraint settings should now look like Figure 12. When you move the hand bone in towards the shoulder, the arm bends and the elbow is "supposed to” point towards the free floating elbowpoleIK_L bone. The chances are that the direction is out and therefore the “Pole Angle” offset needs to be corrected (this value is among the settings of the forearmIK_L bone’s IK constraint as seen in Figure 13). Getting this right is typically the most fiddly part of making an IK arm, although it's pretty straight forward once you get the gist. You should be aware that resetting bone roll will affect the offset so it is good practise to apply Armature >> Bone Roll >> Recalculate Roll >> Z Axis immediately prior to assigning the IK offset angle (do this in Edit mode, with the IK bones arm bones selected). An easy way of getting the correct offset angle is to go into Pose mode and move the hand towards to shoulder so there is an obvious bend. Then, drag-slide your mouse over the offset value so that the elbow points directly to the base of IK_elbow_L. More often than not, the correct value is usually 0, 90, -90 or 180 degrees. When done correctly, the IK arm should bend as you move the hand towards the shoulder (in Pose mode) and the bend in the elbow should be in the direction which points towards the free floating elbowpoleIK_L out the back. Strictly speaking, to make the “normal” arm accurately follow the movement of the IK controller arm, you could also consider unparenting the hand_L bone from forearm_L and adding a Copy Location constraint to hand_L so that it follows the World Space location of handIK_L. At last, we are now ready to make the magical IK/FK switch itself. The first task is to make the switch shape, which will be two bones shaped to look like a circular slider in a rectangular boundary. The circular slider will itself have constraints so that it will be unable to move outside the boundary. It's preferable that its movement at either extreme (up and down position in the switch) is one unit. i.e. the off position has a local bone position of Y=0 and the on position has a local bone position of Y=1. This will simplify making a formula later when we generate a driven key which the switch operates. The switch will be made from a couple of Custom Shaped bones. Start off by preparing some custom shape objects for use by the switch. In Object mode perform [SHIFT][A]>>Add>>Mesh>>Plane. In the Object Data tab, name the plane “switchborder_shape”. Next, add a circle with [SHIFT][A]>>Add>>Mesh>>Circle and this time call it “switchslider_shape”. Don’t worry that these shapes aren’t finalised as yet, you will adjust them to fit once the bones which will use them are in place. With the custom shape objects made, it’s time to make the IK/FK Switch bones themselves. In front view, select the Armature and enter Edit mode. You could now use [CTRL][A] to add the new bone, but it’s better to take advantage of Armature mirroring so you can have symmetrical bones on the other (the right) side. To do this, select the tip of a neck bone and hit [SHIFT][E] to extrude a bone out over the shoulder. From here, hit [E],[Z], followed by [ENTER]to extrude yet another bone directly upwards, the size of one Blender Unit. Name this new bone “switch_border_L” and delete the bone leading up towards it from the neck. In Pose mode, select the switch_border_L bone then enter the Bone tab and assign the Custom Shape field as switchborder_shape. You should also set it to display as wireframe. Since it’s a controller as opposed to a character bone, uncheck the Deform property, seen in Figure 14. Make sure you also name the opposite bone switch_border_R or bone mirroring will cease to work. Now that the switch shape has been applied and is visible as a controller over the shoulder, you will notice that is it too large. Do not resize bones, as this causes constraint related complications if you later decide to assign a character’s “rest pose”. A better way to resize bone shapes is to edit the original mesh shapes themselves. Select the switchborder_shape, and enter Edit mode. Select all the vertices by using the [A] key, then scale the shape down to a sensible working size (about [S] 0.2[ENTER]). Do the same with the switchslider_shape mesh. Now that you have a bone representing the switch border (a square for now) you need to make the slider control within the switch. In Edit mode, select switch_border_L and duplicate it with [SHIFT][D]. Make the switch_slider_L a child of switch_border_L by changing the parent field of switch_slider_L to be switch_border_L (this setting is in the Relations area of the bone tab. Make sure you do not have the “Connected” option checked while you do this or the bone will jump out of place). limit stop completely at the point. Without this, the slider may appear to stop at the desired limit but the internal values might actually reflect that the movement has gone further. Check all the Min and Max values for X, Y and Z. With all the X, Y and Z values set to 0, the circle is now immobile when in Pose mode. Change the Maximum Y value to 1 so your settings match the ones in Figure 15. You should now be able to move the switch_slider_L upwards a short distance. If you find that the correct axis is not Y but X or Z then your bones may have been oriented differently from mine and you would then need to compensate using different axis on future instructions. When you enter Pose mode, the switch slider looks like a large circle in a square of the same size. Do not resize the bones yet or the next calculations will be offset. It is more important to adjust the shape before the size. At the moment the slider circle can be moved around all over the place. You need to fix things so that the circle can only move vertically, and only as far as the edges of the border. Add a Limit Location constraint to switch_slider_L. You need to make the switch border so that it fits the boundaries of where the slider can move. In Pose mode, move the slider up as far as it will go, taking it outside of the current border. Next, edit the switchborder_shape object, moving one of the edges so that the switch which uses the shape is correctly reshaped. Most likely you will need to move the top edge, one unit along the Y axis. Assuming you are in topview [Numpad 7], select the edge then hit [G],[Y],,[Enter]. makes the switch actually work. You now have a set of sliders and extra sets of IK and FK “controller” arms which are capable of manipulating the mesh once their constraint influence is enabled. The final step in this set up is to create driven keys which wire the controller constraints to the switch so that IK or FK movement is activated depending on which way the switch is thrown. While in Pose mode and for the “normal” arms, select each bone (bicep_L, forearm_L and hand_L) and turn off all constraints to both IK and FK controllers by sliding the influence of each constraint down to zero. This will mean we get to see the effect of the sliders only as they are activated and we will be able to tell when things are working. Select the bicep_L bone. constraint (the one which ties it to the bicepFK_L bone). Then follow the menu through to “Add Driver” (as shown in Figure 17). The Influence field will now turn purple, indicating that you no longer need to directly type values into this field because it will instead get the influence elsewhere. All that remains is to set the driven key so that it takes the value from the slider. Change the name of the Copy Rotation constraint (which is called “Copy Rotation” by default) to “CopyRotationFK”. You don’t need to specify the exact bone name as this will automatically be taken into account in the Graph Editor labels. Go to a new Graph Editor window and change the header from “F-Curve Editor” to “Drivers”. needed is to create an equation to evaluate the Influence value, based on the Y switch_slider_L position. When the switch_slider_L is at the bottom (Y=0) the FK influence will have no effect, whereas when the switch_slider_L is moved to the top (Y=1) then the FK will kick in with full influence. The settings for the driven key should so far look like those in Figure 18. Then go back to the slider control and move the slider up and down. You should see the arm shoulder/bicep snap on and off to the bicep relative to the slider movement. Now that the slider is working to activate / deactivate snapping to the FK controllers, you will also want to have the same treatment for the IK controllers. The difference is, that you will want the opposite formula to happen; whereas the FK controller is active when the slider is at the top, the IK should come into effect when the slider is the inverse, at the bottom of the slider. Now for IK, the equivalent opposite would be; Rotational influence (IKbicepL) = 1 – (Y position of switch_slider_L) Enough theory. Here are the steps: Select the bicep_L bone. You can now test whether the arm is correctly rigged by going to bone layer 2 (where the FK arm is residing). In Pose mode, Rotate FKbicep_L so that it is off centre. The IK/FK switch should now be fully working, at least for the bicep bone. I usually find the easiest way to troubleshoot whether things are working is to place the IK controller arm and the FK controller arms in completely different places while in Pose mode (have one arm pointing up, the other pointing down). Then, when I move the slider up and down, the “normal” weight painted arm should swap between the two. When the slider is up, the normal arm follows the FK controller arm but when the slider is down the normal arm matches the IK movement. Now that the bicep bones are working, you need to follow the same process to add IK/FK drivers to the forearm bones and the left forearm bones. Of course, there is the other arm on the right side as well. With three sets of arms, there are a lot of bones in setting up this rig. The animator should not have to flip layers in order to access the FK or IK bone controllers, and there are some bones (such as the IK forearm or any bones which are not controllers) which have no direct use for the animator being able to see them. The “normal” arm bones (weight painted to the mesh) are not useful for the animator, so you should hide them by moving them to another layer. Then, bring each bone in the FK controller arm (bicepFK_L, forearmFK_L and handFK_L) to bone layer 1. Likewise bring the hand bone (handIK_L) and the elbow pole controller (elbowpoleIK_L) to layer 1 as well. This way, the animator only needs to have bone layer 1 active in order to access the bones which are immediately useful to them. When you slide the slider all the way to the bottom (for IK movement) the FK arm controller bones should disappear. Do the same for the FK forearm and the FK hand controllers. Of course, do the same again for the other arm. Taking the IK, FK and the hide-bone constraints into consideration, you have a lot of driven keys to make as shown in Figure 19, but then the result should prove worthwhile when done. Once finished, when you use the IK/FK switch, the appropriate controller bones should appear, giving you the type of movement (IK or FK) that you desire. I’ll leave you with a brief note on animating with the IK/FK setup. IK and FK arms never line up exactly, so if you perform an animation where the movement slips from one type to another (e.g. picking up the ball would be IK, but hurling it in a big spin would change to FK movement) then it is a bad idea to key a sudden changeover, as there will likely be a visible jump in the arm during this change. I studied biology and always had a specific interest in Arthropods (Spiders, Millipedes, Crustaceans and Insects). In an organism that is to be studied extensively, a few general rules apply for selecting it as a specimen. One is availability. The desert locust can be purchased anywhere and I was determined that in this project I do everything myself and in Open Source programs. So I bought two grasshoppers, and dissected one of them, taking pictures of the outer body parts for reference and texture painting. Don't be shy about using point and shoot cameras for the texture pictures, their small focal length is perfect for avoiding depth of field blur. Just make sure your object doesn't fill the entire frame, because of the vignetting effect. It is always a good idea to take the pictures yourself and take them from the same specimen (object). I was really happy to see that the top view aligned perfectly with the side and bottom view in the texture paint, I didn't have to correct any offsets or seams. This is something you can control beforehand if you take the pictures yourself. you'll see it has – more or less – 2 kinds of legs, the shorter two pairs at the front and the long jumping legs. So the short leg only needs to be modelled once, then you can rig it and afterwards join both the legs with the body and the rig with the main armature. I found this to be a very elegant method. Before you do that make sure to give the bones – and with that the vertex groups – distinguishable names. Starting the Object was pretty straight forward, I loaded my reference images and started with my method of choice: Box modelling. So I took a cube and kept adding edge loops along the side as well as transversally until I had enough detail to carve the grooves along the Body. I found that in Arthropods 6 – 8 vertices around the legs is a good number depending on the polycount you're going for. Of course I used a mirror modifier for the start, but there is more work you can save yourself if you think ahead and do a little planning before the actual modelling. I had to learn that the hard way, by starting over quite a few times with past projects, but I did learn from the failures as well. I just used the biological terms for the segments of the legs. E.g. Femur of the first left leg would be Fe_I.L. The .L is another important thing. If you name your bones with .L or .R at the end, Blender will be able to flip the names (in Edit mode: W -> flip names). If you duplicate and mirror your bones, the duplicates will be named e.g. Fe_I.L.001. If you choose W -> flip names Blender will automatically replace the .L.001 with .R in the bone names. While looking at the legs I noticed a lot of spikes along the Tibia, especially on the jumping legs. I couldn't solve that problem with normal maps, because the spikes actually stand out from the topology of the leg, but I didn't feel like modelling every spike. Luckily I was already doing the legs separately, so I added a circle of eight vertices (SHIFT + A -> add Mesh -> circle, F6 to edit the vertices count), extruded it and modelled two spikes, extruding two of the side faces. I added an array (Fig. 2) to that. Make sure you enable "Merge" and that your top and bottom vertices actually do merge. Once you're happy, apply the modifier and enable the addon "loop-tools" in the user preferences (CRTL + ALT + U) then you can bridge (W -> loop tools -> bridge) when you have two loops with the same amount of vertices selected. This way you can easily connect the spikes to the beginning of the leg (Fig. 1). use GIMP or a similar software to remove any specularities from your pictures. Otherwise they will interfere with the lighting of your renders. When you're using scanline renderers as opposed to physically correct renderers translucency is not very accurate. You can fake it by manipulating the back value of the SSS but that affects your entire model and I found it to ignore where the light is coming from. Of course there is a slider for translucency, but after playing around with it for a while all I found it to do is show shadows that get cast on the backside of the model to be seen by the camera. So I used material nodes. You don't see many tutorials about material nodes, even though they are incredibly useful. the shadow and the camera position etc. of your Object. So by using the original UV layout of my Locust I painted the areas where I wanted the SSS material to appear (Fig. 3) between gray and black depending on how translucent I wanted the legs to be in that particular area. I assigned this grayscale map to a shadeless material and used it as a factor to mix the two materials together. For the swarm I joined all my Objects (head, thorax, body with legs, inner and outer wings) together so that the particle simulation would only have to calculate the positions of one Object per particle. I used three offset flight cycles so the locustsâ&#x20AC;&#x2122; flying wouldn't be uniform (CRTL + G with the three locusts selected). Hi Blender users, my name is Hassan Yola. I am a student and French Blender user. I live in Yaoundé, Cameroon with my parents, brother and sister. I started using Blender in 2007 because I wanted to make movies. That was my dream since I was a child. I didn’t think that it would be possible, but yes, this year, I started making a movie with Blender. I began like other Blender dummies, reading every Blender tutorial and Blender mag I could find on the web, and by subscribing to some Blender forums like blenderclan and blenderartists. I thought that now I'd learned enough to produce some little animations with my own still pictures. After learning some rigging and skinning stuff, I began to work on animating my characters. So this year I produced my first short animation with a very simple story. On May of 2011, my short open movie project officially started. Of course I started by writing the story which was a little bit hard for me because it was the first time and I had no idea of how to write. Finally it took me one week to finish it. The story is about a little boy who has nightmares about an old and forlorn house. He then begins to avoid that house, until destiny puts that house in his way. When I finished the writing process I started creating both my main characters (the boy and the house). That was the fun part because I already had a precise idea of what I really wanted. refer to it to know what scenes to do, what the shot will require in terms of modeling, animation, time needed for each scene etc. The animation was very diﬃcult because I was doing it for the ﬁrst time with complicated action and acting. The book of Richard Williams, (Techniques d’animation sur le dessin amine, l’animation 3D et le jeu video) helped me so much, most of the time I referred to it to plan my animation. scenes. For most of my earlier projects, I gave up on it because the animation was too complicated. But when I saw Big Buck Bunny, I became excited and wanted to make an animation. It was my principal motivation, so thanks to Sacha Goedegebure and all of the Peach open movie team. sculpt tools to get the look I want. the eyelashes but instead of using hair for this, I used small cylinders and just duplicated and tweaked them. You could do this using the texture for your front view reference applied to your model. Just do a Projection from View in front view. This way you have the position of your eyelashes and you can pose your cylinders. I learnt this trick in a cool book from Ballistic called The Face. I used the images of Liliana to make the textures of Ruby as well. First, I used texture paint with Project from View UV mapping and painted the images of the front and side view on the mesh. So now we have a base texture on the main UV map that was created before. After this I go to the GIMP and start working on the diffuse texture. I copy and paste the good parts of the textures to improve some bad areas. I rarely use the clone stamp because if you arenâ&#x20AC;&#x2122;t really good with this, itâ&#x20AC;&#x2122;s easy to screw up your texture. When the texture is done, I use the sharpen filter to bring out the details. I worked with 4k images for the diffuse and bump maps and 2k images for the other maps. To make the skin shader I created a material node with four SSS layers and an extra two layers for specularity. The four SSS layers are for the overall color, epidermal, sub-dermal and back scatter while the other two are for the soft and hard specular. The hair was made in Blender, using the children method as hair particles. This way gives you more control because the children will follow the hair particles exactly . You could also grab the particles and put them where you want. Since theyâ&#x20AC;&#x2122;re linked to the particles, just uncheck the Root option in tool bar. Then start to comb and tweak. planes and linked them to the two front spots, then I created a white material with self illumination for the planes. So this way you have some fake reflections like area lights that you could see in the eyes. The composition I made is simple, I just rendered three passes: Z depth, specular and ambient occlusion. First I adjust the contrast and saturation, then I adjust the specular and ambient occlusion. I also used one more SSS layer for the eyes as this will give them a lot of realism. My name is Marco Lorenzetti, I'm Italian and I work in CAD but with casual contracts. interface but then I realized that these problems were a strong point. I was impressed by its system of sculpting and the possibility of animating a character who possesses various levels of detail with multires. Seeing the beautiful face of Rihanna, I thought it was perfect to recreate in 3D. She has an easily recognizable face with features that are easy to read and identify. I first created a basic model with 4 sides and then added a multires modifier at level 3. I have paid a lot of attention to the nose. I used the pinch brush to create the lines that determine the shape of the nose. I used the brush polish to create the flat parts of the nose (fig 2). I then imagined various poses and renders. The last one I proposed is inspired by a photo of her in which she is portrayed with her face up against the backdrop of the Caribbean. I started to sculpt an intermediate model that showed a good resemblance to her based on the many high-resolution references I found on the Internet. I rigged the model with an armature and then I posed it in the position I was interested in. I then began to recreate the proportions by using symmetry and recreating the look of the pose while maintaining the credibility of the model at different angles (fig 1). I made the lips in the same way, taking extra care with that line at the top of the lips. I used the crease brush for those furrows between the nose and lips and cheeks. I have created a material for the skin using the nodes from the tutorial that appeared in issue 16 of this magazine (figure 7). I used simple lighting (4 lights) because I like to have short render times. To control everything quickly and in order to use the model for animation, I just used the default render settings (render_no_curve). I also used a bit of compositing with nodes (mostly the curves node) to adjust levels and color (render_1). I will not deal with the part about the eyes because I think it is already well discussed in the tutorials that you can find on the web. simply mirrored the bones over to the other side. The head of the video group at my day job has a secret identity. For 35 years he has also gone by the moniker “Dr. MadBlood”, host of a campy local horror movie show. A few years ago I did a Tron themed shot for their Halloween show, but this time they wanted something much more ambitious. A full minute of character animation done on a very short deadline. I had worked in Lightwave for several years, but I knew the character animation tools were not up to the task so I imported and modified a Balrog style creature I had created previously into Blender for rigging and animating. In fact, aside from the initial model the entire project was completed in Blender. I like to use FK as much as possible, but this character had bat-like wings, a long tail and flexible neck. I would need something to give those parts of the character a sinuous feel. Thankfully, Blender has a simple yet powerful solution, Under the Display section of the Object Data panel for the Armature simply set the display type to B-Bone. Also, for any bone that has to flex such as in the tail, under Bone>>Deform set the Segments property to be greater than 0. This will create a smooth deformation when the bone is rotated, no fancy rigging required. About the only place that did require rigging expertise was the wings. For those I used a simple trick. For each “wing finger” I IK constrained it with a Chain Length of 1 to targets parented to a control Object. The next step was animation. Again due to the time constraints I needed to use Blender’s powerful tools to help me meet my deadline. For the opening shot where the creature walks forward and roars, I used the NLA editor to speed up the animation process and give me the flexibility to change the animation quickly if the Madblood folks needed a different timing. In this case I created a “walk” animation and an animation of the character simply moving forward. In the NLA I placed the move forward animation on the bottom track with the Extrapolation set to Nothing, then placed the walk animation strip on the track above the first clip with Extrapolation set to Hold and Auto Blend In/Out checked. Now the character will walk and move forward. You can change the timing of any of the animations simply by selecting a clip and hitting the “S” key to scale it. Setting the Extrapolation to Hold will allow the animation clip to blend better with subsequent animation clips you add. In this case I animated the character doing a roar at the end of the walk. With the walk clip set to hold there was no pop or poor transition at the end of the clip. end effect was very similar to my initial concept. I would like to introduce a couple of friends of mine to the Blender community. First meet Joe. When I created Joe, I was thinking about a cartoon-ish style character that sort of took life one step at a time and spent a lot of time relaxing, or ‘slacking-off’ from his duties. Joe is fully rigged and ready for animation. Modeling Joe started in blender 2.52 alpha and the character was released to the community for use with blender 2.54 in this blenderartist.org thread. Joe has been updated to work with blender 2.58a and will continually be updated as required. The latest release can always be found at the previously mentioned link. A video demonstration of the various controls for Joe can be found here. him. The end result is over 46 videos posted online on how I started with the default cube, sculpted, modeled, textured, and rigged him with an armature. A post containing the links to the videos can be found at blenderartist.org. In the description to the video, there is a link to the .blend file that I created during the video. Up next for Freddy, I plan to produce a series of videos showing how to animate him, and will post them in the previously mentioned post. Both Joe and Freddy are licensed under Creative Commons, AttributionNonCommercial 3.0 Unported, and both .blend files contain a text block describing this license. Basically, anyone is free to use these characters for any non-commercial use. So, blender community, let’s get busy and create some animations! Happy animating! Hi there, my name is Ivam Pretti and this is my proposal to improve the shape key face rig method in Blender, but it can be used by any person with any kind of software because it is an idea, a concept. I will explain in a very simple way so that every body can understand and in this way I hope to give my contribution to the Blender community. way to solve a lot of those troubles. This proposal is just one layer of implementations I am developing, so let’s keep it simple. How do we animate a one shape key rig like the face rig in Sintel (which uses just one slider in a linear way)? In Sintel the face rig with shape keys are gorgeous as they use just 1 shape key for each important deformation and it works great. But let’s move to a more cartoonish style like my character in Grab Your Gum. There are lots of people that use this same idea but to control two sides of the face with one control. This may not look original and you might be thinking, “Oh my god tell me something new”. But do have a lookat the video (Animation Example.avi) on the zip I provided and observe both methods of animation. I provided the blend file (grab rigify.blend) so that you can use my character (by the way rigify in blender 2.58 is fantastic, try it out too). In the zip file there are more pictures of the shapes and the interaction of the system. We need to remember that on the blend file there is a mirror modifier that puts the deformation on both sides, but this can be easily fixed by applying the mirror modifier and adjusting the shape keys with groups. Unfortunately I didnâ&#x20AC;&#x2122;t have the time to finish it. If you have any questions e-mail me: ivamprettimn@gmail.com, later on I plan to make more articles with this same character, so lets see where this goes. Some final notes is that to make it really work, itâ&#x20AC;&#x2122;s necessary to sculpt the BD shape with the maximum of changes. Note the shape of the mouth, the eyes, the ears, and so on So keep blending, wish you all the best. Jonathan Williamson, already known throughout the Blender community for his outstanding work at www.blendercookie.org has written his first book, Character Development in Blender 2.5. Aimed at showing Blender users how to create believable characters in Blender, Jonathan explains the basics of Blender usage and then takes the reader through modeling, texturing and rendering a complete character. BAM: Jonathan, congratulations on finishing your first book, Character Development in Blender 2.5 and thank you for taking the time to answer a few questions for us about your new book. JW: Thanks! I'm humbled you would take the time to ask about the book. Considering the success ofyour video tutorials, what prompted you to switch to a written book format? though I prefer video tutorials for most instruction, there is something very nostalgic and comforting about flipping through a book. I think this was the main reason I was driven to write it. Well that and when the publisher first asked me to write it I knew I was in trouble; I am not very good about turning down projects! I know you consider yourselfa topology snob, did that influence your decision to focus on character modeling? Yes and no actually. I am, without a doubt, a self-professed topology snob. However, the topology aspect can apply to any kind of modeling. Regardless of the subject matter, topology is nearly always very important. My decision to focus on character modeling was more based in my love of characters and continuing desire to push my own skills in that area. After all, what better way to polish oneâ&#x20AC;&#x2122;s own skills than to write a book on it? David Revoy is my favorite concept artist and I know a favorite ofmany in the Blender community, what influenced your decision to use concept art created by David? After seeing David's work on Sintel I don't think there was any other option for me. I really wanted David's work in the book, and more than anything I wanted to model from David's work! Luckily, he was kind enough to provide the artwork no problem. In fact, the artwork I used is the same as on his Chaos and Evolutions DVD which David developed to fit the style of the book. He got two birds with one stone. Did you consider other character model references? I did consider a few others, but nothing seriously. Before approaching David, I had not narrowed down any other artists and had simply been looking at other character artwork that I liked. When modeling your own characters, do you draw the model reference sheets or do you find references online (or other places)? Even though I love to draw, I certainly would not consider myself to be good at it. For this reason I generally like to base my own work off of various references I find around the web. Or, if I'm lucky, I can talk a buddy or two into drawing something for me! Does the character used in Character Development in Blender 2.5 have a name? When you were modeling the character, did you use a screen capture program to capture screen shots as you modeled or did you plan your steps ahead of time and grab screen shots as you went? I grabbed screenshots as I went. Normally I would take a screenshot every 10-30 seconds to make sure I didn't miss anything. In the end, I think I had over 1500 screenshots to wade through. During the process ofwriting Character Development in Blender 2.5, how much planning and preparation was required? There was a lot of planning and prep work! The final table of contents actually looks nothing like the original. I have to give extra thanks to my Editor, Kezia Endsley for putting up with me throughout the process. I didn't actually fully finalize the Table of Contents until a month or two before going to print. In fact, if I remember right, a full two chapters got completely changed, repositioned, and or removed just before completion. The fact that she wasn't pulling out hair alludes to her great patience and flexibility! It's hard to say. Writing a book was such a fluid process for me, I can't really say what I would or wouldn't do the second time around. Whether I wanted to or not, I had to remain flexible throughout the entire process, namely because Blender kept changing on me. I actually rewrote several of the chapters 2-3 times strictly because things like a brand new sculpting system was implemented. Yes, the sculpting section was originally written for the old sculpting system! Oh, and yes I plan to do it again! Considering all your responsibilities with Blender Cookie and life in general, where did you find the time to actually write a book? I'm not sure, actually. I may have borrowed the extra time from the future, which would explain why I find myself so short on it now! The total development time was about two years. However, this was grossly extended from the original estimate due to Blenderâ&#x20AC;&#x2122;s constant development updates. If Blender were to have been stable, and more documentation friendly, I imagine it would have taken between 6 and 10 months. From experience, I know that large scale projects often come with unexpected surprises. During the writing ofCharacter Development in Blender 2.5 did you run into anything that surprised you or caused you to rethink your current approach? Blenderâ&#x20AC;&#x2122;s constant development! As mentioned a few times above, this was the monkey wrench of the project. There were mornings I would wake up after having written an entire chapter the night before, to find that a brand new system had been implemented, making my freshly written chapter completely obsolete in less than 24 hours! For this reason, I had to continuously find ways to make the subject matter of the book as adaptable as possible, letting me compensate for any development changes. It also means that I wasn't able to write the bulk of the book until about 4 months before going to print. Having completed the monumental task of writing a book, would you want to do it again? Yes :) Whether or not my publisher wants another book, I don't know, but I am already tossing around ideas for a second one. Hopefully I'll have more news on that in the coming months. Now that you have experience with both video tutorials and book writing, which format do you enjoy more? Truthfully, I enjoy both. They each offer their own unique challenges and allow me to pursue different training methods than the other. That being said, videos are a lot less time consuming for me to do. David Revoy, a freelance artist that specializes in concept art and illustrations, is known throughout the Blender community for his beautiful artwork. He creates wonderful characters and scenery using a variety of Open Source software, including Blender. I first met David when he released his animation The little fairy and have been a fan of his work ever since. 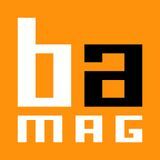 BAM: David, thank you for taking the time to answer a few questions for us. To check the full size artwork (5600x2500px ) and try to model it, go here : Thanks Graph-lib for hosting it. You have collaborated with Jonathan Williamson on several Blender Cookie projects as well as his book Character Development in Blender 2.5, are there any plans to work on future projects together? with Sintel and your two training DVDs, Blend & Paint and Chaos & Evolutions, have increased public awareness ofyour work? For sure yes, and mostly in regards to the Open-Source public. But I still have much work to do to expose my artworks to the greatest number. For example, recently I try to update my gallery on Deviant Art and maintain it. Also I keep posting on general CG communities to avoid being trapped in the label 'Open Source'. You have recorded / produced two training DVDs for the Blender Foundation, do you have any plans to produce others? lot of energy and time. But in general 'yes', I have many ideas about coming up with a new tutorial series. But if I do it, I'll really want to stop this "text label" everywhere and record a proper voice over. In Blend & Paint you describe how to use Blender to create the base render for digital paint overs as part ofyour work flow, how often do you use Blender as a starting point for your work? That's right, I use Blender often at the beginning of an artwork. In most cases (about 80% of the time) when it comes to landscapes, environment or specific object design, I can save a lot of time this way. Unfortunately, this does not apply very well to the organic design for human, nature and creatures. How big ofa role does Blender play in your workflow? workflow, it was generally precious to speed up this laborious task. As a concept artist/illustrator you have the opportunity to work on a variety of different project types (book covers, board games, animations etc), what is your favorite type ofproject to work on? I really appreciate any kind of work, book covers, concept art, board games, but what I like most is not necessarily the type of media, but really the degree of freedom and creation that's given to me in a work. You are a prolific artist, how much time do you spend daily creating artwork? A variation from a minimum of three hours and a maximum of ten hours, I rarely take a day in my life without drawing or painting. How often do you sit down and paint/draw etc just for yourself? graphic novel. So, for the moment I work on style, productivity and efficiency. Do you start out with a mental image ofwhat you want to create or do you just jump and see where it leads you? I have both approaches: one is purely chaotic (like the one I presented with alchemy on the timelapse before Sintel ) and I try to wake up my imagination this way when this one is foggy or asleep (it happens). But on another side I also have the process to lay down pure mind vision, a kind of bridge between thinking image and real picture I like to maintain. My clients often come to me for the second approach. So what are you plans for the future? I want to become a graphic novel author on the long run, or anything where I can 'express a story with pictures'. I had so many stories popping in my mind all day long. I simply want to share them. Thanks again Sandra for this room to express myself in the valuable Blenderartist mag. And we have a special bonus surprise from David. He has drawn a fun character model sheet for us to practice modeling and play with. You can find the â&#x20AC;&#x153;little bot bunnyâ&#x20AC;? Jonathan Williamson is well known and respected throughout the Blender community as an experienced educator who has produced quality video tutorials and several DVD training series through BlenderCookie.com as well as on his own. Using his experience as a Blender educator, he has written Character Development in Blender 2.5. In Character Development in Blender 2.5, Jonathan gives a comprehensive look at the tools and techniques used to model, texture and render a believable character using Blender 2.5. This book focuses solely on the creation of the character, covering only the modeling, texturing and rendering of the character. Rigging, animation and special effects are not covered. While this book can be followed by a Blender beginner, it seems to be aimed at the user who is at least passingly familiar with Blender and is interested in learning or refining their character modeling skills. For those new to Blender, spending time practicing the core concepts covered by Jonathan in the beginning of the book will enable you to follow along more easily. A good educator never takes anything for granted, so Jonathan starts out with a brief but thorough tour of Blender 2.5, its tools, layout and options. Some tools he only mentions in passing as he then explains more about them as they are needed to complete the tutorials. The character you will be working on throughout the book is based on concept art by David Revoy, which is of course included on the companion DVD. The model sheet shows a female character who is wearing a kind of retro fantasy, steam punkish outfit with all appropriate views and a color rendition of the character. In addition to the female character, you will be creating all her clothing and accessories. Once you have gone through the Blender tour in sections one and two, you get to section three and down to business. Once you have set up your workspace you are ready to get started. You start by box-modeling a base mesh. At this point, while you are following a specific model sheet, the concepts are very simple to transfer to a future project making this section an ongoing valuable resource. blocking in the accessories and hair. At this point everything is still very simple and shows just basic form and shape. Once you have finished the blocking stage you get to dive into sculpting details for the body and clothes. Then more details and modeling on the accessories. So now you have a nicely detailed model that looks great and you could stop here if you want. But there is still more to be learned. Jonathan goes through the process of retopologizing your character to create a lower resolution model that can be rigged and animated far easier than your current high resolution model. In part four, Jonathan covers lighting and rendering and setting up some basic materials for your model. Continuing on in part five, you get into UV mapping and creation of normal maps. You now have a complete model that should look pretty darn amazing. Throughout the book you have learned about a variety of modeling tools and techniques that can be applied to future projects rather easily. and techniques that up until now I had only briefly played with. Namely sculpting, retopology and normal maps. I enjoyed Jonathan's writing style and was pleased to see that his easy going teaching style that I was familiar with from his video tutorials translated so well to a written format. The only downside, and I consider it only a minor detraction, was the screen shots. Jonathan included a more than adequate number of black and white screen shots to show you what was going on and how your model should look at given stages. And as is often a problem with black and white screen shots, they were a little on the dark side, which while unfortunate, doesn't detract from the quality of the information presented. Nor was it a show stopper by any means as all the source files are included on the companion DVD, giving you the ability to take a much better look at a given stage than any screen shot could deliver. - Images inside a PDF are a strict no, but a pdf document with images if provided to show how the - Tutorials explaining Blender features, 3dconcepts, author wants the formating of doc will be techniques or articles based on the focused theme of appreciated. the issue. - Make sure that screenshots are clear and readable - Reports on useful Blender events throughout the and the renders should be at least 800px, but not world. - Text should be in either ODT, DOC, TXT or HTML. - Cartoons related to blender world. - Send us a notification on what you want to write and we can follow up from there. - Images should be properly cut and represent the text appropriately. - Images should be provided seperately in a folder named (images, img or pictures). - Images should be named/labled likewise (image1 or img1 etc). - Provide proper captions for images if and when needed. - Name: This can be your full name or blenderartist avtar. Note: All the approved submissions can be placed in the final issue or subsequent issue if deemed fit. All submissions will be cropped/modified if necessary. For more details see the blenderart website. - Image format prefered is PNG but good quality JPG BA takes no responsibility fo the material in any form can also do. and the submission will automatically mean that - You can submit inline images in documents like you have agreed to the blenderart terms and DOC or Openoffice ODT etc but make sure the conditions for submission for more information images were properly names before importing them please do read the disclaimer. in docs. 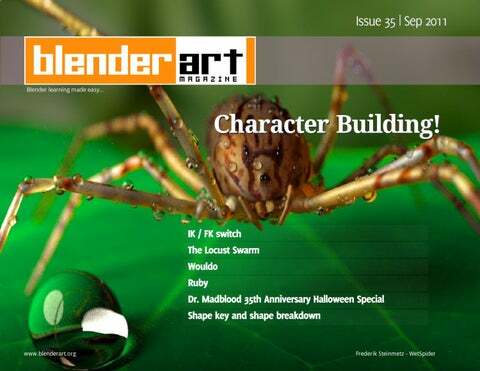 BlenderArt Magazine Issue 35 Character Building!